Riddle us this: Why is Adele playing dress-up as a country music icon? On Tuesday, she revealed a head-to-toe look, simply captioning the photo, “June Carter Cash.” And can we just say Adele’s June Carter Cash impersonation nails it — from a long chocolate-hued wig to the Autoharp, an instrument Cash was known for playing. But this of course makes us wonder: Why in the heck is Adele impersonating Cash in the first place? 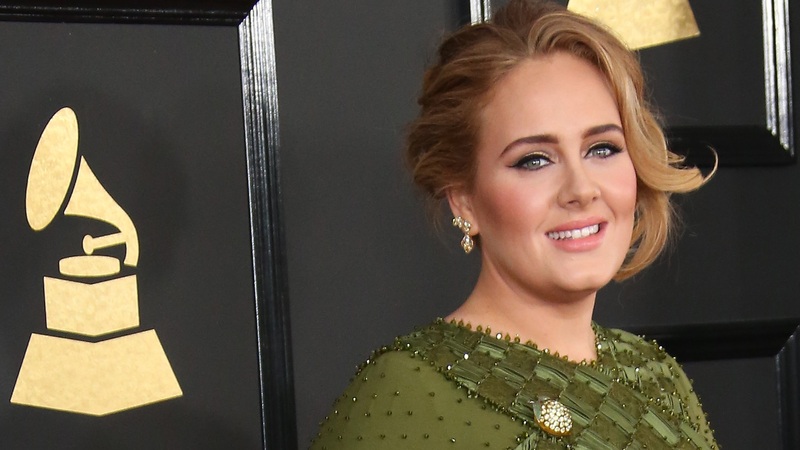 The most obvious explanation is simply that Adele digs channeling fellow female music icons. In January 2018, she shared a snapshot of herself in front of the same backdrop featured in this photo. Only then, she had reimagined herself as Dolly Parton, complete with big-haired blond wig. In general, Adele takes costumes pretty seriously. Remember when she transformed into Rose from Titanic for her 30th birthday festivities? Or how about her seriously impressive turn as Stanley Ipkiss (aka Jim Carrey’s character) from the 1994 movie The Mask? So while Adele’ affinity for playing dress-up is probably behind her tribute to Cash, we can always hope there’s more to the wardrobe change. Like, for example, a stage production starring Adele as Cash. Heck, we’d even settle for this persona popping up in one of Adele’s music videos. Carter, who was part of country music’s legendary Carter family band, was famously married to the Man in Black, Johnny Cash. In 2005, Reese Witherspoon and Joaquin Phoenix brought the country music couple to the big screen with the feature film Walk the Line. Considering how surprisingly uncanny Adele’s resemblance to Cash is, perhaps a new adaptation of the late country singer’s life story is in order. Or maybe a tribute special is in the works. Witherspoon has a whole plethora of projects in the work through her production company, Hello Sunshine, so we suggest she add one more to the mix. It would be amazing to see the woman who once played Cash make a version starring Adele possible. After all, we all know Adele’s got the singing chops to play the part. Her killer pipes coupled with her obvious ability to shift into character as Cash makes the possibility of a reboot with her in the starring role an intriguing prospect, to say the least.